Invokana (canagliflozin) is an SGLT-2 inhibitor medication that is used to treat type-2 diabetes. The drug was originally created by Mitsubishi Tanabe Pharma and is now marketed and distributed by Janssen, a subsidiary of Johnson & Johnson. The medication is designed to lower the body's blood sugar. 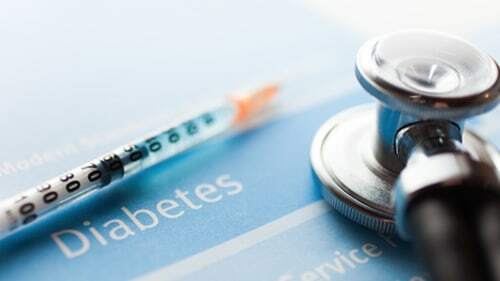 However, since it was released on the medical marketplace, Invokana has exhibited serious health issues to patients who were prescribed the diabetes treatment medicine. The medication is not to be used to treat type I diabetes, or in patients who suffer low kidney function or already take a strong diuretic drug. Rosenfeld Injury Lawyers LLC represents victims who have suffered harm after taking bad drugs and clients who were injured by other types of professional negligence. Our law firm has successfully prosecuted cases for our clients who were injured after being prescribed Invokana and Invokamet XR. Our attorneys are available to answer any legal questions on how to receive the monetary compensation you deserve if your injuries were a result of a pharmaceutical giant's negligence. Should you have additional questions, we invite you to contact our office for a free review of your legal rights. Approximately 30 million individuals have type II diabetes in the United States. Over 200,000 teens and children under 20 years of age have type II diabetes. Over 80 million Americans are pre-diabetic which is a serious blood sugar condition that develops before type II diabetes. Nearly one in four of all the elderly have type II diabetes. More than 1.5 million individuals develop the serious condition every year. The American Healthcare System receives over $200 billion each year from insurance carriers to cover the cost of treating type II diabetes. Specific factors associated with type II diabetes include the individual's diet, weight, age, exercise routine, and family history. The medication is an SGLT2 inhibitor (also called gliflozins) that is designed to work by lowering blood sugar in the body by triggering its exit through urine. Invokana is a brand-name, manufactured by the Johnson & Johnson subsidiary Janssen Pharmaceuticals, who also make Invokamet XR. Other drug manufacturers make generic brands of the sodium glucose co-transporter 2 (SGLT2) medication that include Xigdup XR, Farxiga, Glyxambi, and Jardiance that all work at lowering glucose levels. The medication is a potent diuretic that flushes out excess glucose by blocking SGLT2 that causes the kidneys to help reabsorb glucose into the bloodstream. The antidiabetic medication causes the body to pass excessive glucose through excretion and helps to support weight loss when combined with regular physical activity and a healthy diet. Some studies have shown that Invokana can reduce A1c (glycated hemoglobin) more effectively in type II diabetics than Amaryl or glimepiride, which are designed to increase insulin production in the pancreas. The pharmaceutical manufacturer states that the drug works about the same as Januvia (sitagliptin), which is designed to inhibit the release of enzymes and maximize pancreatic function. The problems found within Invokana should have been foreseen and fixed before they could have harmed patients. The company that currently markets and distributes Invokana, Janssen Pharmaceuticals, stated that patients given it during clinical trials developed ketoacidosis. Ketoacidosis is a complication of diabetes where the body improperly and disproportionately produces blood acids called ketones. Unfortunately, it still cleared FDA hurdles and obtained approval for mass distribution and sale. Since the FDA initially approved Invokana in the medical marketplace, the federal agency has released a safety communication message that was sent out to doctors and patients. These warning labels were updated to warn consumers about the potential risk of developing life-threatening ketoacidosis. This dangerous condition usually develops in type I diabetics but has only recently been linked to type II diabetics taking Invokana and other SGLT2 inhibitors. Unfortunately, not all victims of ketoacidosis experience the obvious symptoms and warning signs until the condition has placed their life in jeopardy. The FDA also warned users of the potential infections and bone fractures associated with taking the medication that can develop within the first three months. Studies have shown that the medication can begin decreasing bone mineral density, which increases the potential risk of fracturing bones. The medication has also been linked to sepsis, a life-threatening infection in the bloodstream and kidneys that usually begins as a urinary tract infection. When Invokana was first released, the FDA limited the Black Box warning labels that posted potential risks of serious side effects. However, now the federal agency made Janssen Pharmaceuticals stop selling the medication until the package labeling was updated and states additional potential risks and side effects. When a patient is first diagnosed with type II diabetes, they often face the real possibility that they will have a leg, foot or toe amputated. They worry because they know that diabetes increases the risk for ulcers, cords, blisters, bunions, and calluses, and that elevated blood sugar levels can damage nerves. If the nerve damage cannot be stopped, the condition can result in diabetic neuropathy, a serious condition where the patient loses sensation in the feet and hands. According to the National Institute of Diabetes and Digestive and Kidney Diseases, seven out of ten diabetic patients experienced diabetic neuropathy. Some of these patients can no longer feel their injuries in their feet and without treatment could potentially develop into a debilitating, life-threatening infection like gangrene that requires amputation. In some cases, the infection becomes so bad that the surgeon must surgically separate the entire leg, foot, or toe. An average of 2% of all diabetic patients will need an amputation at some point during their declining health. Unfortunately, research shows that taking Invokana more than doubles that risk of amputation. The FDA confirmed the correlation between side effects and amputations in patients taking Invokana or Invokamet. Two-thirds of the medical panel at the FDA (Food and Drug Administration) approved Invokana (ten to five) to be marketed, promoted, and sold in the medication marketplace as a new class of drug. This approval came after the FDA rejected approval of a dapagliflozin SGLT2 inhibitor medication manufactured by AstraZeneca and Bristol-Myers Squibb. In that case, the federal agency was concerned that the dapagliflozin drug had an increased rate of breast and bladder cancer that was revealed during clinical trials. The FDA instructed the drug maker to conduct various marketing studies to ensure the safety of Invokana use, including a cardiovascular outcome trial, a bone safety study, a pharmacovigilance program for monitoring cases of pancreatitis, malignancies, photosensitivity reactions, hypersensitivity reactions, adverse pregnancy outcomes, and liver abnormalities. In addition, Janssen Pharmaceuticals must conduct pediatric research following the pediatric research equity act that studies the efficacy, safety, pharmacodynamics, and pharmacokinetic properties of their medication. Is Invokana Safe for me? The federal agency further stated that “Invokana has been studied as a stand-alone therapy and in combination with other type II diabetes therapies including Metformin, sulfonylurea, pioglitazone, and insulin.” An FDA spokesman also said that there are those who should not or cannot take Invokana, but the drug can be used in conjunction with other medications including Metformin if the patient is not suffering from kidney function problems. Wash your feet in lukewarm water each day while using an unscented, hypoallergenic soap. Never use hot water, which could scald you and cause significant nerve damage if you have lost sensation in your feet and legs. Ensure your feet are thoroughly drying immediately afterward, especially between the toes. Use a dry towel to gently pat your feet to avoid damaging the skin through irritation. Monitor the condition of your feet every day to identify dry skin, cracks, calluses, cuts, or bruises. Notify your doctor at once if you recognize any changes in the texture or color of your skin that might have become infected after taking Invokana. Cut your toenails just after washing when the nailbeds are soft and never cut the nails at an angle to avoid sharp corners. If you are unable to trim your nails without assistance, a podiatrist can help you. Always moisturize your feet after bathing but never use oil or lotion between your toes where fungus can easily grow. Only wear socks without a seam and never wear flip-flops or go barefoot even when you are indoors. Infections can quickly develop in cracked, dry skin all throughout the year, and wearing shoes and sandals with a seam could rub a blister on your skin that could cause an infection. Ask your doctor for recommendations to improve the blood flow circulation in your lower limbs. The doctor might recommend that you quit smoking, participate in in mild exercise, and take other steps to minimize the potential risk of an amputation. The doctor might encourage you to manage your weight, sugar intake, and blood pressure that could also minimize your risk of amputation if you are taking Invokana or another SGLT2 inhibitor. The bad drug injury attorneys at Rosenfeld Injury Lawyers LLC understand that suffering injuries caused by a defective medication is not your fault. The pharmaceutical company that sold the dangerous drug is responsible for your damages. We have successfully obtained millions on behalf of the victims and their family members to ensure they were adequately compensated to cover their medical expenses, household bills, lost wages, loss of future earnings, pain, suffering, and emotional damage and we can help your family too. Our legal team encourages you to contact our attorneys today to schedule a free, no-obligation case consultation to discuss the merits of your monetary recovery claim. We accept all personal injury cases, wrongful death lawsuits, and dangerous drug injury claims through contingency fee arrangements. This legal contract postpones the payment of legal services until after we have successfully completed your case through a negotiated settlement or a jury verdict.